WARNING: This article contains spoilers so if you are catching up and don't want some plot points revealed, go do your reading and come back later!! This October I will be giving 9 dollars to DC Comics every week until April without even purchasing a monthly ongoing title from them. "Why Andy", you ask with anticipation. DC has decided to try and capture lightning in a bottle again by going back to their old tricks. What? You just started reading DC with the New 52? Well sit down and let me teach you about DC and their weekly addiction. In 2006 DC was coming off their highly regarded Infinite Crisis crossover, and decided to follow it up with a weekly series called 52. This was a high risk move because the series revolved around a year without Superman, Batman and Wonder Woman, instead focusing on many “B and C List” characters like Booster Gold, Black Adam, and Steel. To hedge their bets, the creative tour de force of Geoff Johns, Grant Morrison, Greg Rucka, Mark Waid, and Keith Giffen (plus the excellent editing skills of Steve Wacker) made the entire venture much less perilous and 52 was a tremendous success. Since the conception of the New 52, DC has seemingly learned their lesson and stayed away from the weekly sauce ...until now. They’ve decided to break into daddy’s proverbial liquor cabinet and go all out with 3, count’em THREE weekly comics: Batman: Eternal, Futures End, and Earth 2: World’s End... but are these titles going to be a rip-roaring good time like 52, a bad trip like Countdown or a meaningless blackout like Trinity? I’m glad you asked! 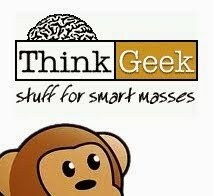 Let's explore each one starting with the strongest title and ending with the weakest. 1. 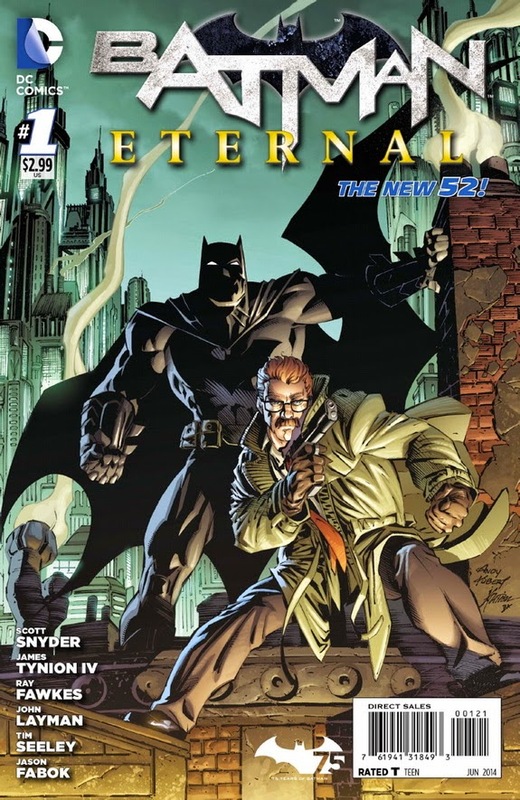 Batman: Eternal- No surprises here. DC knows how to make a book about Batman. This is the strongest solely because of its creative team. 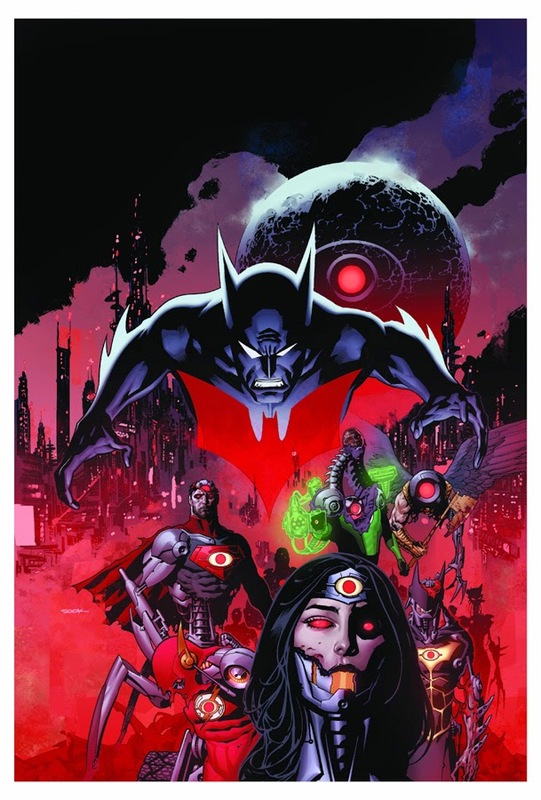 It’s helmed by Scott Snyder (the now unchallenged lord of Bruce Wayne’s life) and a group of other writers including James Tynion IV, Tim Seely and Ray Fawkes, many of which have been writing within the Batman books for well over a year, so just based on the group’s collective experience, this series has some strong legs. The story is also one of its better points with the majority of it revolving around James Gordon and the corruption rotting the GCPD just as one of Gotham’s greatest crime lords returns. The book is about Batman, but uses him more so as an observer to all the hell taking over his city until he eventually puts all the pieces together and saves the day. This book also reintroduces Stephanie Brown into the DCU, a character I personally did not care for in the Old DCU, but I'm actually enjoying (so far) in her new origin, so that says something to the series as a whole. Also, with issues being drawn by great artists like Andy Clarke, Dustin Nguyen, and Guillen March, there is no shortage of things to be excited about! 2. 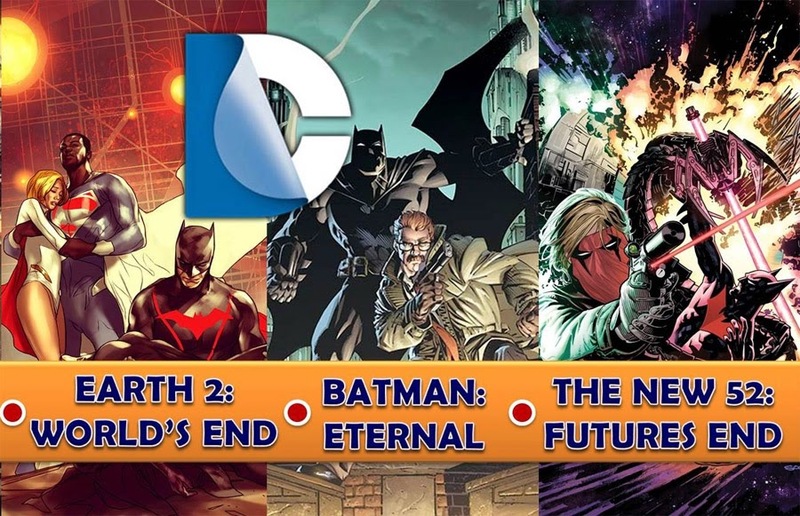 Earth 2: World’s End- This is just my prediction (since this comes out in October) but I think Earth 2: World’s End is going to be solid, but perhaps a bit weaker than Batman: Eternal. 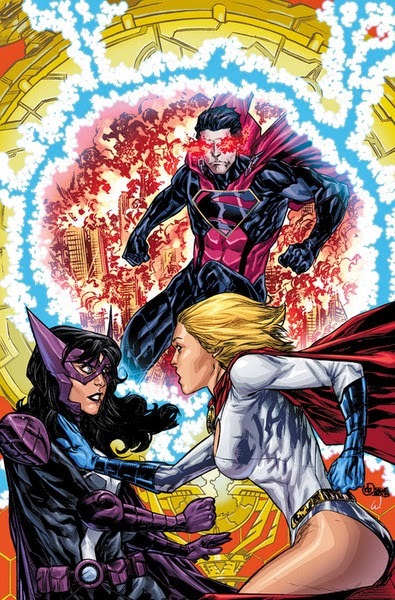 I’ve been reading Earth 2 since the beginning, so maybe I’m a little biased, but the story through both James Robinson’s and Tom Taylor’s work has been leading up to something like this, and as far as these three titles go, this seems to be the most natural evolution of the bunch. It’ll also be strong because it’s the most focused, being about the last days of Earth 2 before the inevitable Earth War Crisis that’s bound to happen come next year. (Don’t believe me? Read the end of Forever Evil and tell me I’m wrong.) Even though it’s about the end of an entire Earth, it’ll probably have the smallest cast, which leaves things wide open to explore more meaningful character moments. There you have it. DC is hitting the weeklies again and they’re hitting it hard. I think you should give them all at least an issue or two. Who knows... maybe you’ll wake up one day with 20 issues of one of them and just then, realize you are now committed and have established an endearing love towards Grifter, or Spoiler, or Earth 2 Batman or something. That’s what happened to me. One day I realized I own all four volumes of 52 and somehow, a Booster Gold shirt got in my closet. 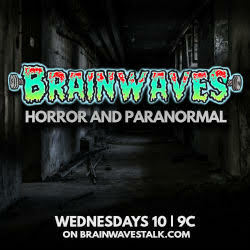 Man, those weekly hangovers sneak up on you.